One of the more ideal ensemble combinations in jazz is the piano trio, with David Kikoski serving as a major proponent of the genre. 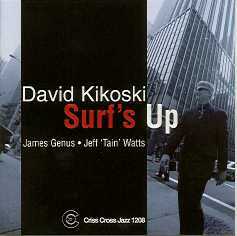 For his fourth Criss Cross album to date Kikoski leads a powerhouse trio with bassist James Genus and master-drummer Jeff 'Tain' Watts. 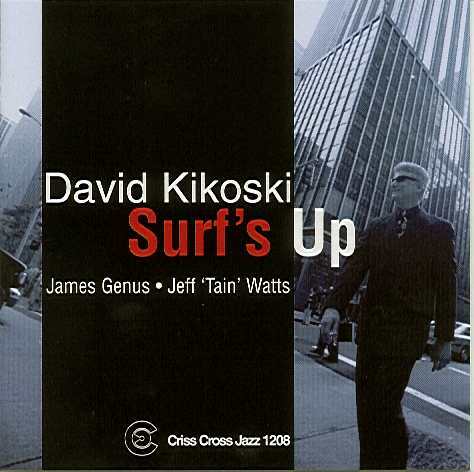 Surf's Up is easily Kikoski's best to date, giving him space to romp through a diverse set of tunes covering everthing from Brazilian sambas to pop masterpieces by Frank Zappa and Brian Wilson.